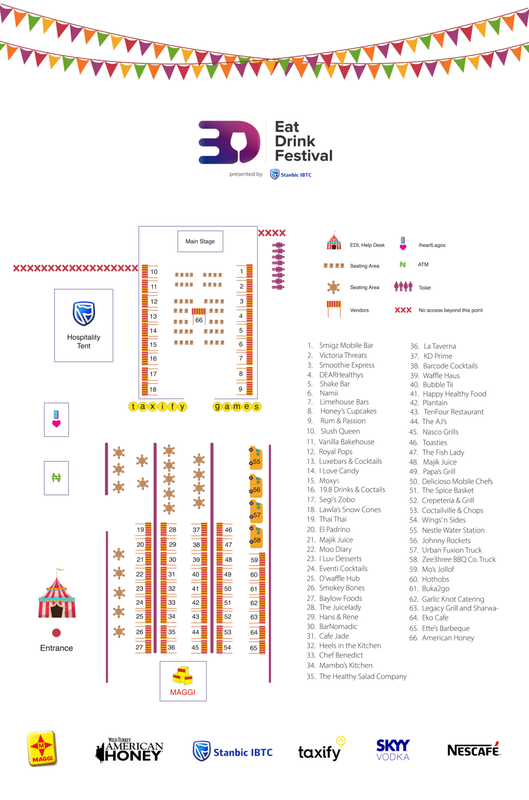 The #EatDrinkFestival Map is READY! 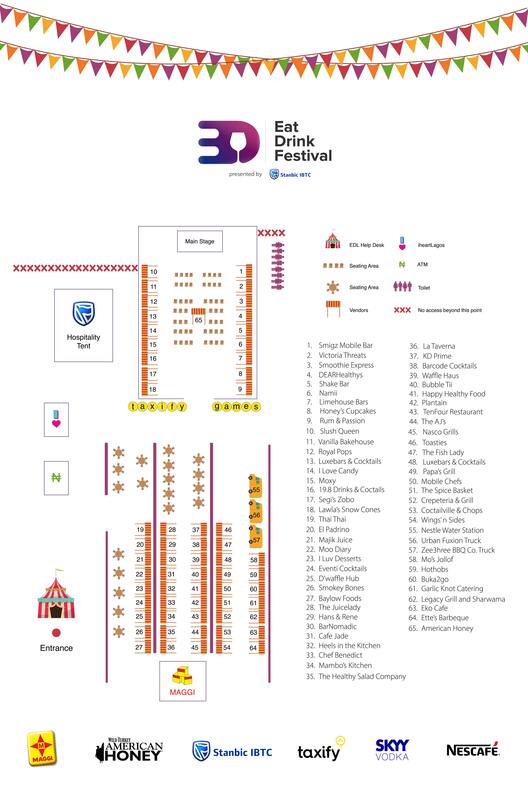 You know it's officially #EatDrinkFestival time when the map is ready. MASSIVE thank you to our favorite illustrator, iHeartLagos, for helping us out with the map. Why worry about parking when you get a Taxify to the Festival? If you don’t drive, you can definitely get your drink on. Our Taxify code for the day is "EATDRINKFESTIVAL" and it's open to new and existing Taxify users. Comfy shoes, loose fitting clothes, etc. Bring a hat, some sunscreen, and the stretchiest pants you have because you’re going to be eating a lot. There’s no way you’re going to eat everything at #EatDrinkFestival. So bring some Tupperware and check out the map. Also, make sure you plan to hit your faves first. Failure to plan is planning to fail. Get the gang together and form a team. Send friends to neighboring booths and then meet up to swap and sample.